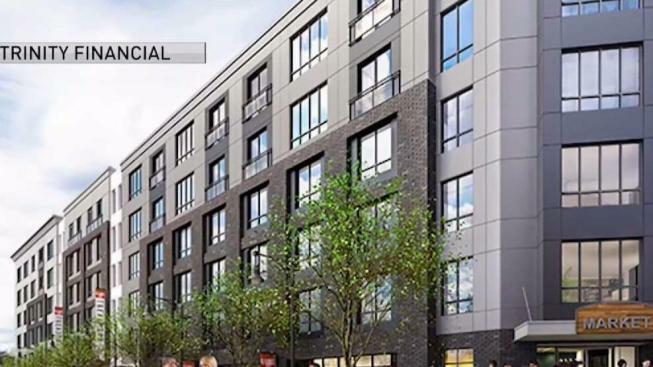 Months before a massive fire broke out at a building that was under construction in Boston's Dorchester neighborhood, the project was the source of controversy. The six-story building that burned Wednesday in Boston's Dorchester neighborhood was the subject of controversy earlier this year when union workers picketed the developer's Ashmont home. The NBC Boston Investigators have obtained a copy of an email that Jim Keefe, co-owner of Trinity Financial, the developer of the Treadmark residential and retail development project, apologizing to his neighbors and laying out his point of view of his company's relationship with the city's powerful construction labor unions. 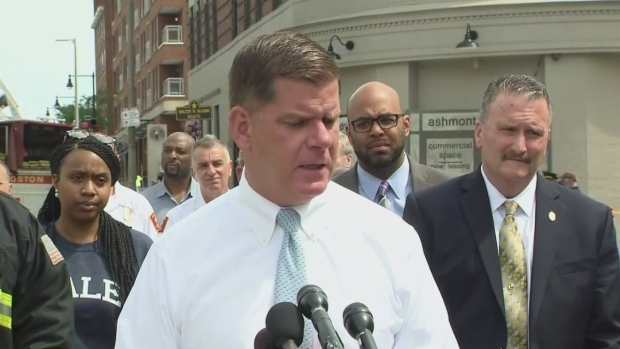 Officials spoke Thursday morning after a massive fire tore through a building in Boston's Dorchester neighborhood. Trinity has “a clear preference for union contractors and sub-contractors, when feasible,” he continued, and noted that 70 percent of the Treadmark project is done with union labor. The company said in an email that it considers the fire accidental and that neither it nor Keefe had heard of any threats against the project. The NBC Boston Investigators also looked into the multiple contractors that worked on the building. State records shows they did have the required state licenses and proper permits. However, one of the top contractors, Cranshaw, had three OSHA violations in 2014 on a separate project in east Boston for not having enough fire extinguishers or inspections of their safety program.